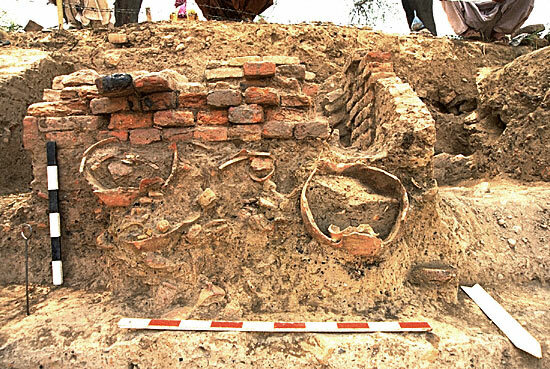 In the upper levels of , a small baked brick structure with sump pots was found. This structure, possibly a latrine, is on the northern margin of a major east-west street that ran along the southern edge of the "granary" area. It dates to late in Period 3C, perhaps 200-300 years after the original "granary" structure had been buried by later construction.